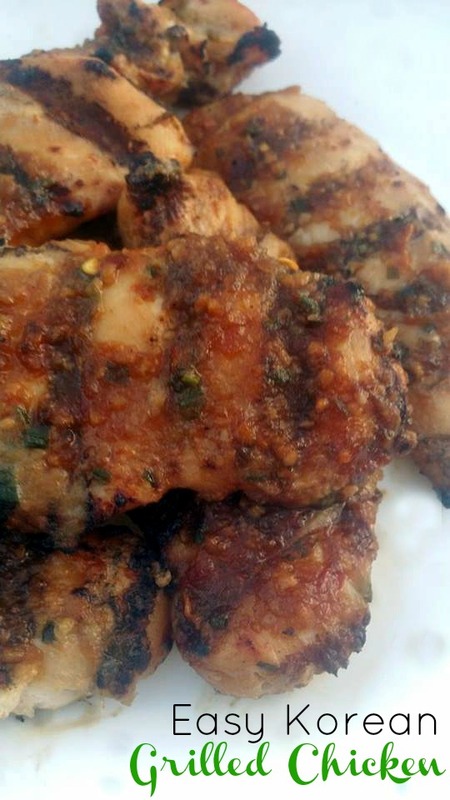 My sister made this easy and delicious Korean Grilled Chicken the other day and it was such a hit, I had to share the recipe with you all! She used Tenderloins but feel free to use breast or thighs. This is delicious served over my Bacon & Egg Fried Rice with some yummy Ginger & Garlic Roasted Broccoli. When using large chicken breasts, we like to cut the chicken through the middle, making thinner cutlets, to get more of the marinade touching the chicken and also to make it easier to grill without drying it out. In a medium bowl, combine the soy sauce, apple sauce, onion, sesame oil, ginger, honey, garlic, and red pepper flakes. Reserve ¼ cup of the marinade and transfer the remainder to the Ziploc bag along with the chicken. Refrigerate and marinate overnight. 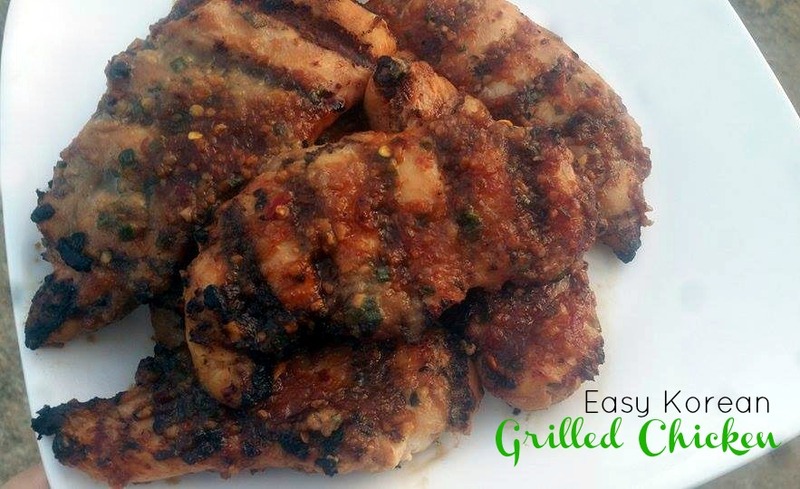 Over medium-high heat, grill the chicken basting with the reserved marinade. Garnish finished chicken with the chives. Enjoy over fried rice! Lovely recipes. Thank you. Have a great day!